This handy personalized apron will put everything your master griller needs at his fingertips! 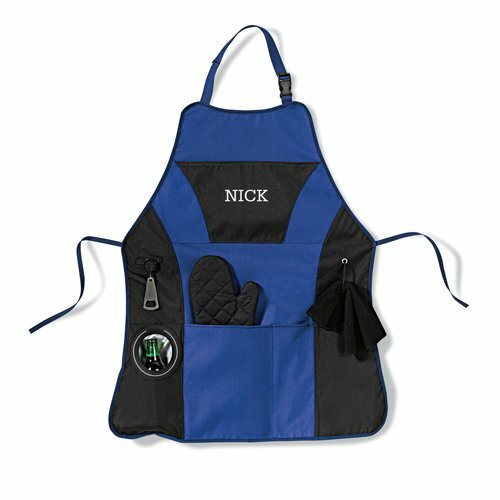 Fashioned in two-tone blue and black, this 100% polyester apron features roomy pockets, an adjustable neck strap and back tie. 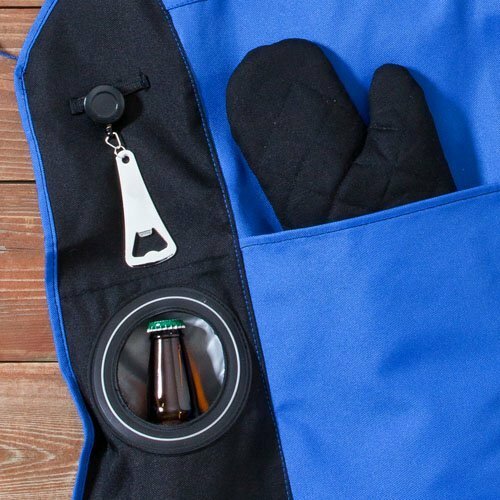 We have also included an oven mitt, removable/retractable bottle opener, bottle holder and towel so he has all the tools necessary for the perfect backyard BBQ! 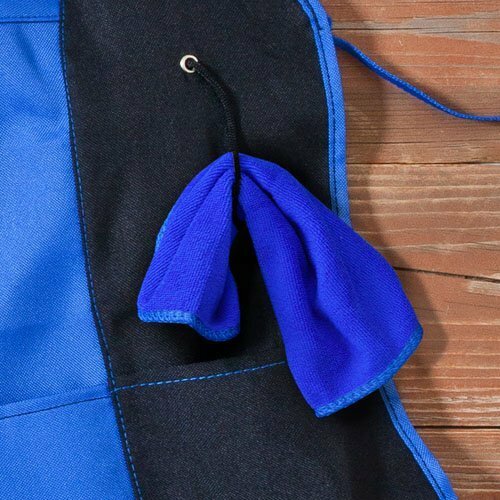 The apron measures 32" long and 23 1/2" across at the widest point. 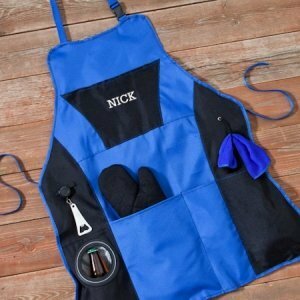 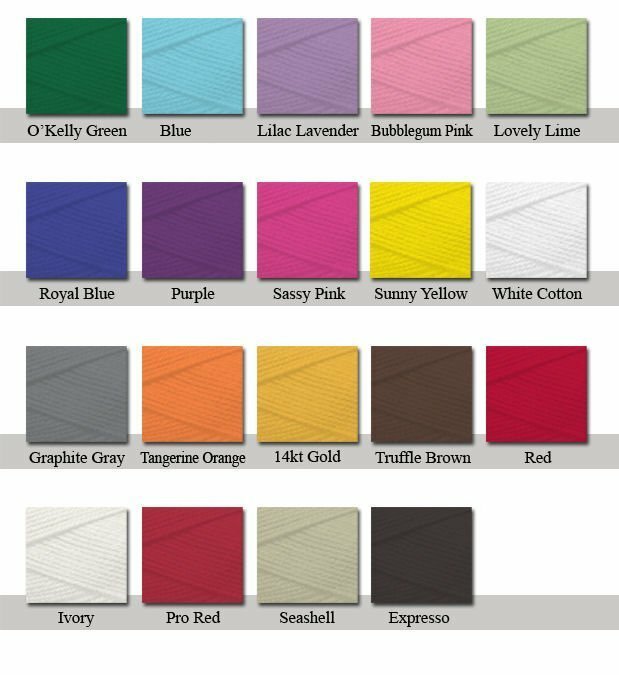 Personalize this gift at no additional charge by adding a name or initials to the chest area.